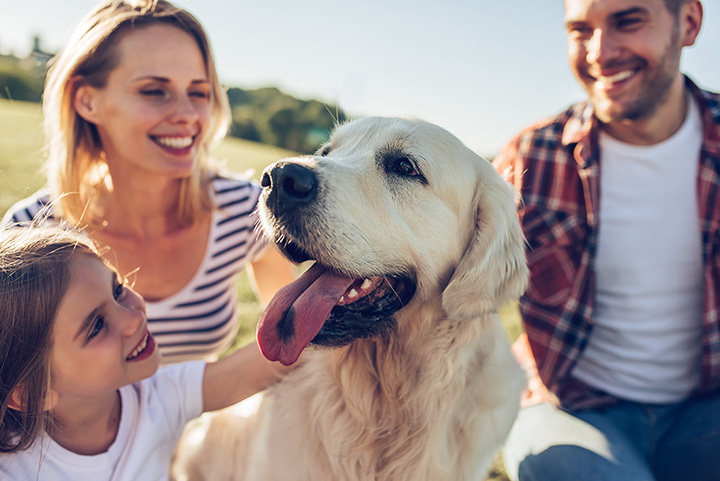 For many canine lovers, their dogs are more than pets—they are furry family members who become part of every holiday, adventure, and night-in snuggling up on the couch. And if it’s dog-friendly adventure you seek, one of these 10 best dog parks in South Carolina makes the perfect place to get some one-on-one time with your four-legged friend. Who knows? You both might end up making friends with other dog-human duos like yourselves. Until 2012, there weren’t any options in or near Spartanburg specifically for doggy recreation. Rail Tail Dog Park changed that, much to the locals’ delight. Now, canines have a special, safe spot to run, play, and make new doggy friends. The park itself features several fun obstacles for extra activity, plus plenty of places for tired masters to sit after an afternoon of running and jumping with their furry friends. Located in the Market Commons district, Barc Parc South is the premiere meeting destination for dogs of all breeds and ages. Word of warning: Bring a towel, in case Fido decides to make friends at the watering hole! With Greenville County’s abundance of outdoor recreation, it’s no wonder they also play home to one of the most popular—and most adventurous—dog-friendly spots in the states. Pelham Mill Park is an expedition for you and your four-legged friends: Start with a visit to the overlook, where you can view the historic ruins of the old Pelham Mill and post office. Then, hit a warmup trail or two or head straight into the dog park. If you have to decide whether to stimulate your children or your dog, you can do both at Hazel Parker Playground. It’s a small park, compared to some of the larger complexes in Charleston, but it does offer an off-leash dog park for the pups and a small nearby playground for the kids. Everyone gets their exercise and their fresh air this way. Part of Earlewood Park on North Main Street in Columbia, NOMA is a unique, non-profit, membership-based park. Which is good news for dog owners, since you can guarantee that the dogs your canine befriends is sure to be up-to-date on vaccines and are spayed or neutered. If you’re looking for a safe place to let your pups off leash, head to the fully fenced-in Waggin’ Tales Dog Park. This playground was built with the four-legged in mind, with separate areas for large and small dogs to play. If you thought the beach was your only option for dog days of summer, you must have somehow overlooked the canine-friendly experience at Surfside Beach’s only dog park. Situated within walking distance to the ocean, your dogs can enjoy the play structure within the small fenced-in park, along with on-site hydration stations to cool down from all the activities. Whether your dog prefers sand to grass, or water to land, every dog can experience their favorite here. Set alongside a saltwater wetland, this dog-friendly park offers more than just an area to run and play. It gives you both plenty to see and do, including kayak rentals, picnic shelters, paved trails, a spray fountain, and prime spots for saltwater fishing and crabbing. Woodlands, wetlands, and kinds of scenery in between, your dog will love romping through the expansive grassy meadows or getting their paws wet in the ponds. The actual dog park here is a fenced-in off-leash one, but that doesn’t mean you and your canine friend can’t enjoy the other beautiful trails and nature scenery that awaits you. If you and your dog crave outdoor adventure, this park is for you! This park has separate off-leash play areas for large and small dogs, along with other leash-on activities like trails, kayaks, sand volleyball, and grassy areas. View more South Carolina Dog Parks.